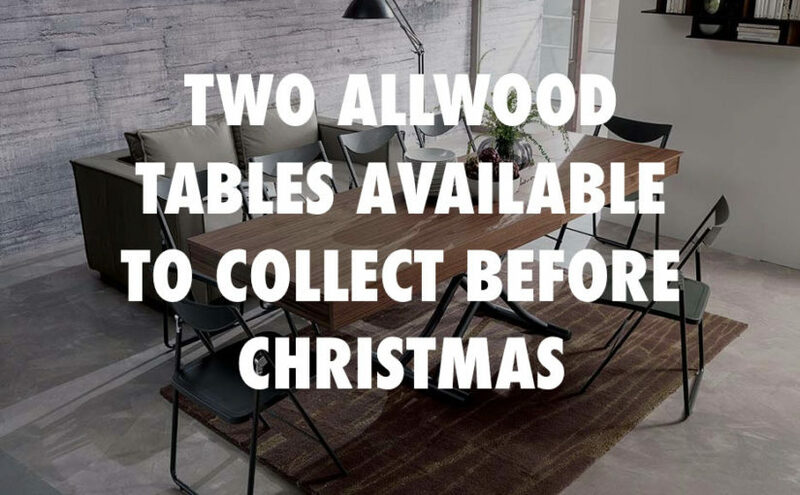 We have two Allwood extending tables available before Christmas if you can come to collect them from the showroom tomorrow (*WEDNESDAY 20TH*), and they are also both currently at the showroom to try and test. One of them is a light grey cement top with chrome legs. The other has a beautiful, so BEAUTIFUL if I do say so myself, oak top and taupe legs. But the finishes aren’t even really the best bit about this table. Because our Allwood table is actually a coffee table. But it’s also a 4 seater dining table, a 6 seater dining table, and yes it get’s even bigger still. It goes all the way up to become an 8 seater dining table. Or a really low sushi table! So that’s any height between 23cm and 80cm, at any one of those extensions. What are the extending tables dimensions? Good question. Our Allwood starts as a coffee table (or 4 seater dining table), which is 76cm deep by 126cm wide. Of course remember it’s height can be anything from 23cm to 80cm. One extension (seating 6 people) then increases the size to 76cm deep by 181cm wide. Two extensions (seating 8 people) then increased the size to 76cm deep by 236cm wide. So are you hosting the Christmas dinner? Worried about how you will fit everyone around the table? Then we have you covered. Either of these can be yours for £2,695.00. They aren’t discounted, but they are brand new. And can be at your house tomorrow – unfortunately all of our pre christmas delivery slots are now booked, but you can come to our showroom to collect them. Our showroom should be open from 11.00AM – 13:00PM on Wednesday 20th December. But please do give us a ring or send us an email before coming to confirm. There is also of course only one of each, and once they are gone, they are gone. 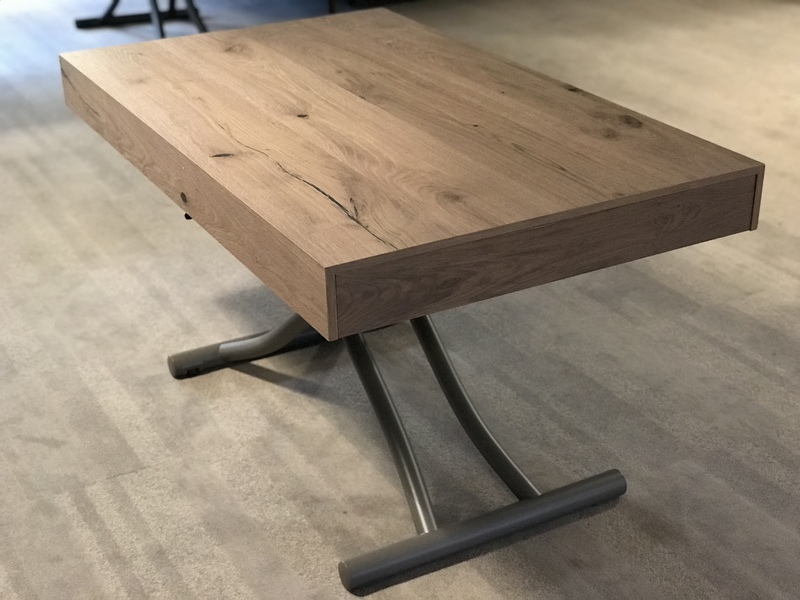 The tables are usually made to order, so you can select from a number of different top finish options and leg finish options. So if you aren’t in a rush, then come and visit us to have a look at the other available finishes. 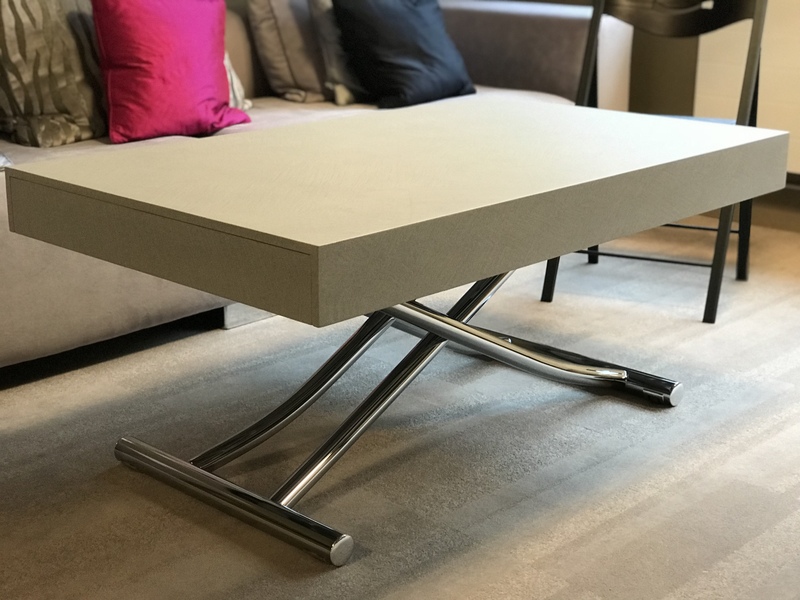 The lead times are usually about 8 weeks from order, and if you think you are interested in an extending table, but perhaps a different style, then we have lots of other brilliant tables to look at in the showroom too. *Please note, the availably of these tables was correct at time of publishing this post. Previous Previous post: Have you been to our London Showroom?